Oh, Hello teacher friends. Do you remember me? This past month has been crazy with back to school. 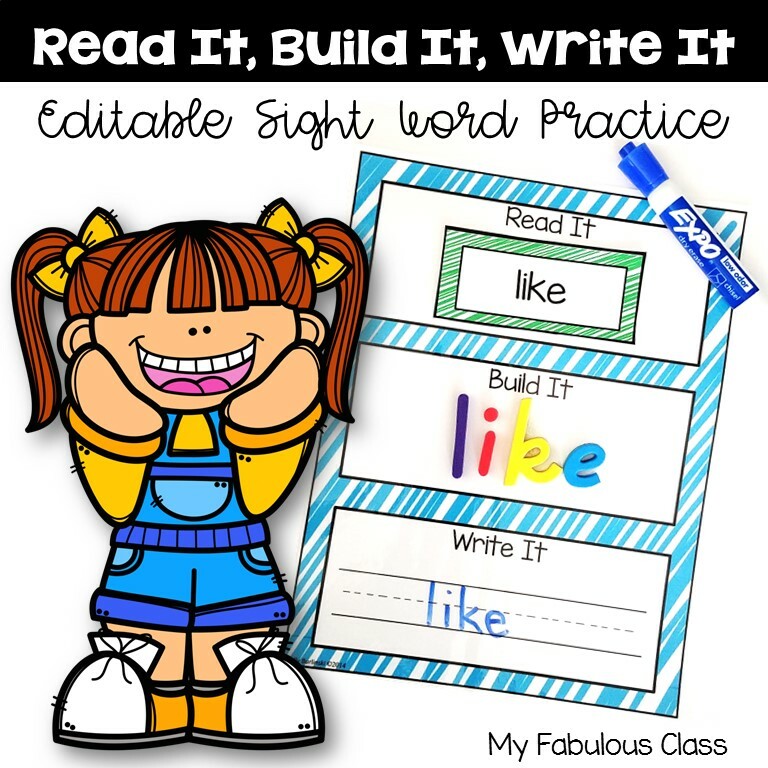 This year I am working with Kindergarten and First grade. Did I mention I am 18 weeks pregnant? I had to break my blogging silence to talk about one of my favorite things.
. I love teaching apples because that means it is basically fall. I LOVE Fall!!! The air is cooler and just smells fresher. 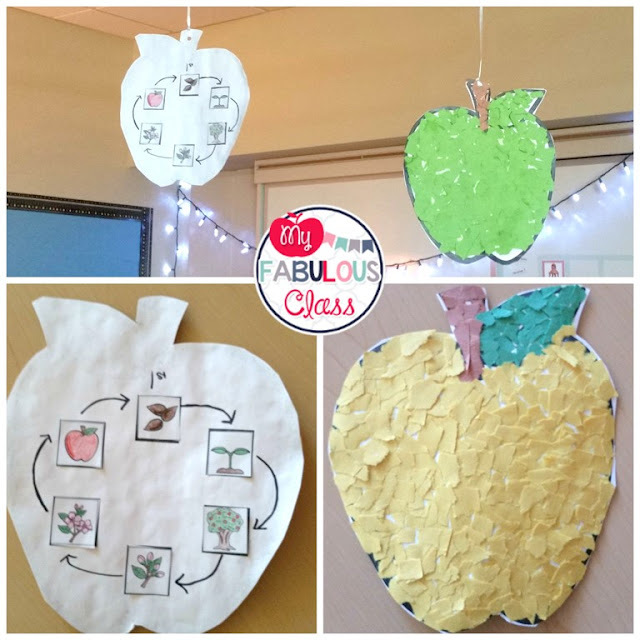 We made these adorable tear paper apples with the apple life cycle on the back. They look so nice hanging from the ceiling. If you have never made tear paper projects, be prepared to tear some paper yourself and it will still take FOREVER. We spent about 3 days on these, working 30-40 minutes a day. We first read a book about the apple life cycle As we were making them, I realized the tree should NOT have apples. I corrected it. You can get the template FREE HERE. 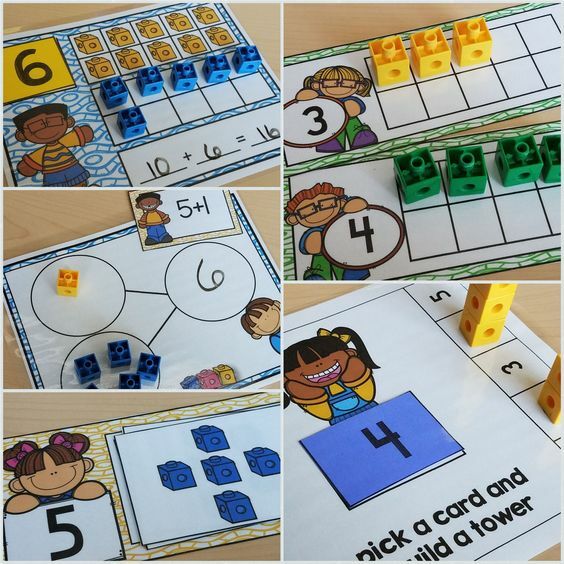 Looking for some Apple Math and Literacy ideas? 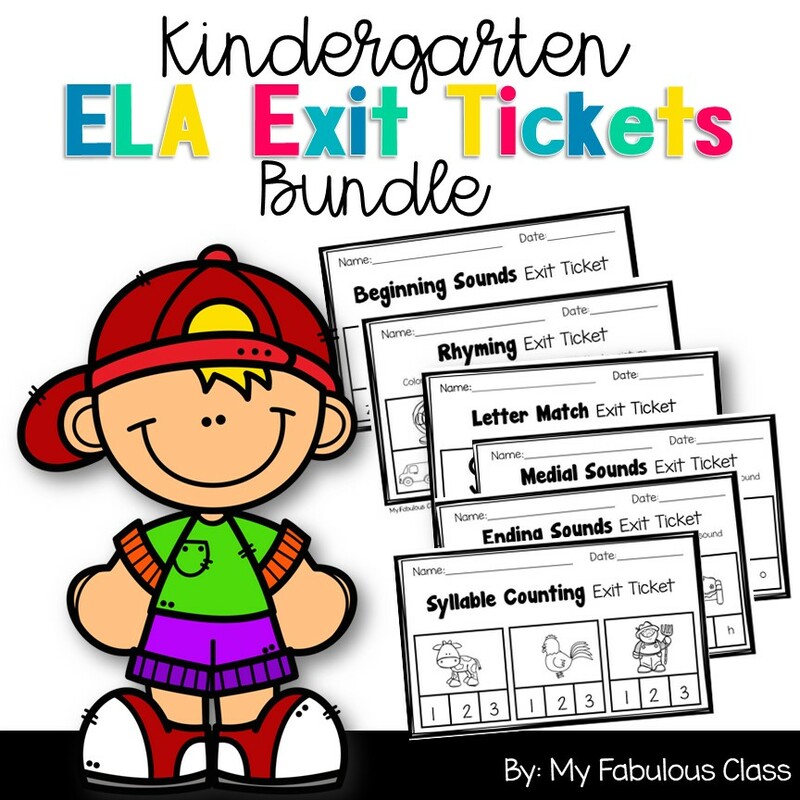 I have some more FREEBIES and I put all of my apple products ON SALE! 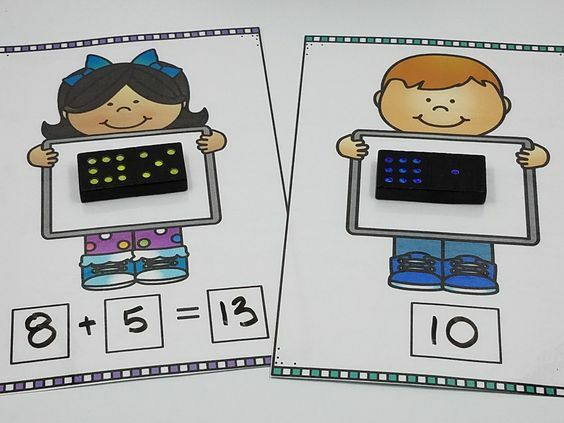 Apple Math and Literacy Centers has 12 fun activities. It is on sale for 20% off TODAY only. 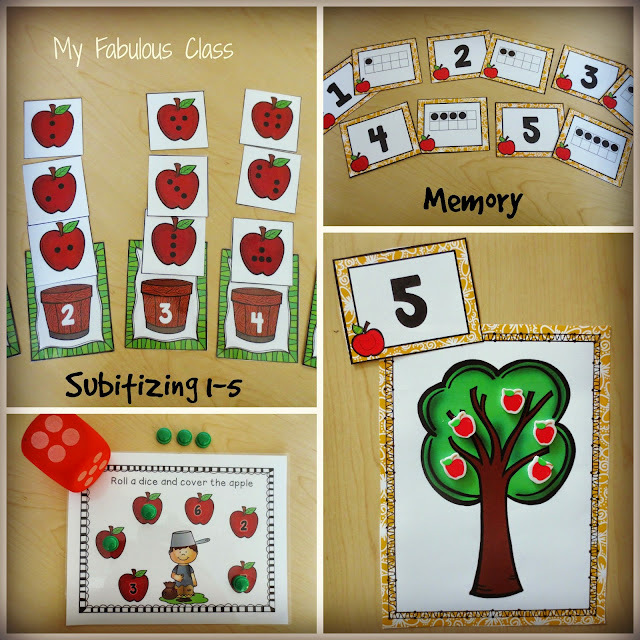 September Word Work is also apple-tastic! 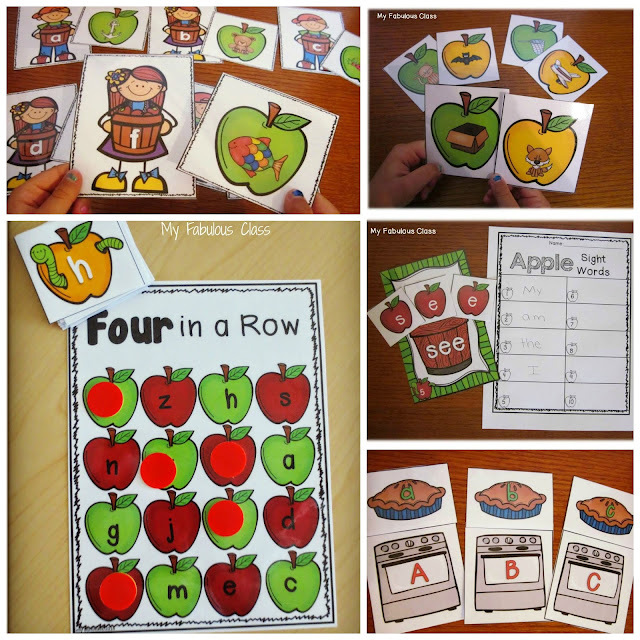 This has 7 different apple word work centers. It is also on sale for 20% off TODAY ONLY. This is a little freebie I put together last year. 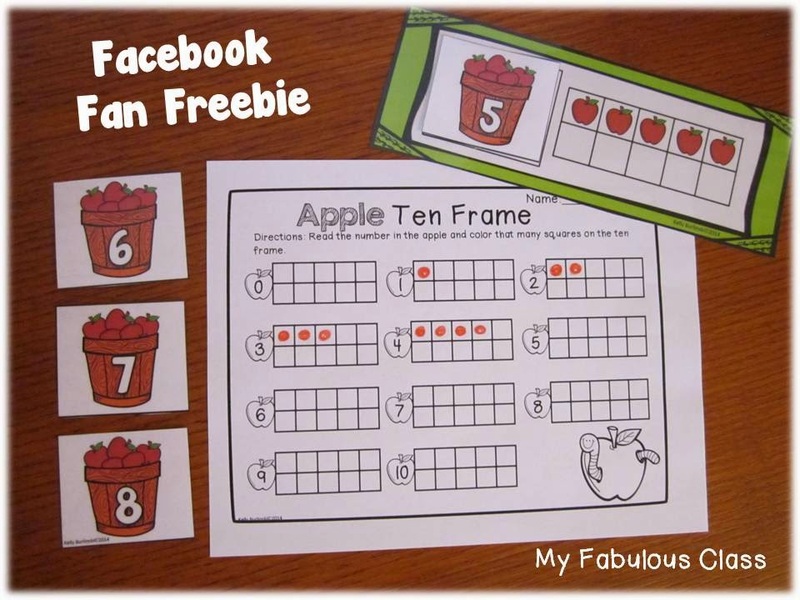 You can grab this FREE on Facebook. To get this, like my Facebook page and click on the Facebook Freebie button. One more FREEBIE for those who stayed until the end. This is just an easy apple printable. 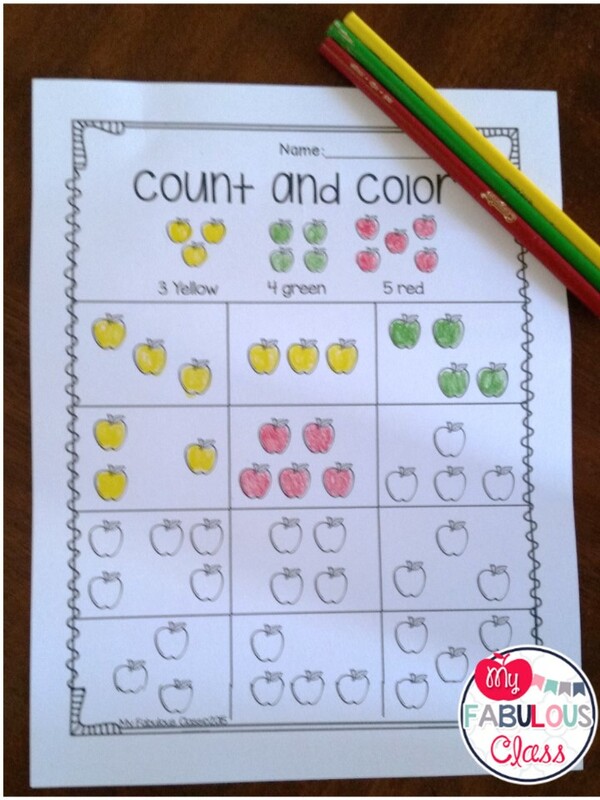 Kids count and color apples and subitize! Grab this FREE HERE. Great post! I enjoyed reading and seeing your ideas. My class completed the apple life cycle sequence Friday afternoon while they waited for our crockpot applesauce to finish cooking. What a great project! They were enthralled that they HAD to tear paper to complete the project. Thanks so much!